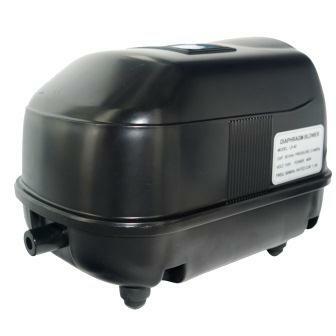 These high efficiency low cost aeration pumps are ideal for water gardens and shallow ponds. With multiple sizes available there is sure to be an aeration pump to fit your pond aeration application. 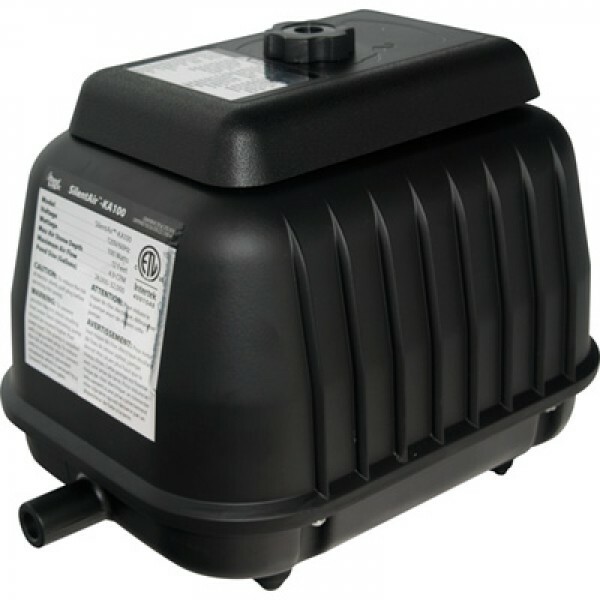 Whether you are replacing the pump in an existing aeration system or creating your own you can trustthe silent Koi Air air pumps to provide the power you need to breathe some life into your pond. Replacement diaphragms are available and easy to change the pumps giving years of service. Diaphragm life can be extended by ensuring diffusers are not in water deeper than recommended maximum depth of the air pumps. Use weighted 3/8" airline between the pond pump and the diffusers for runs less than 50'. If you are running airline more than 50' we recommend using a 1/2" or 5/8" airline between the pump and diffusers will further ensure trouble-free and extended pump life.